Tokyo’s historic Nihonbashi district continues to transform with several major redevelopments planned between now and 2035. In addition to these new high-rises, there are also plans to move the unsightly aboveground expressway underground, restoring the Nihonbashi river to its original state. Divided into three blocks covering a total of 3 hectares, this will include a 287 meter tall, 49-storey mixed-use tower with office, retail, hotel and serviced apartments. The 5-storey historic Nihonbashi Nomura Building (c1930) will be preserved, with a non-original extension removed. The total project cost is estimated at 316.7 billion Yen (approx. 2.8 billion USD). There are a total of 36 land and leasehold owners. Construction is scheduled to start in 2020 with completion by 2025. 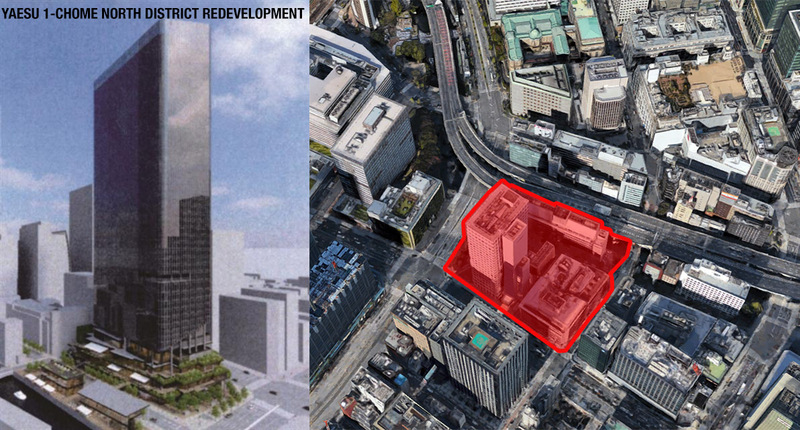 Located directly between Tokyo Station and the old Nihonbashi Bridge, the 1.6 hectare site will be transformed into a 235 meter tall, 45-storey office and hotel tower. Demolition of the existing buildings is scheduled to start in 2023 with completion of the new tower by 2030. The northern end of the site fronting onto Nihonbashi River will have 2-storey retail with a total floor area of 1,000 sqm. The retail zone is due for completion by 2035. This site is across the street from the Tokiwabashi redevelopment project which is a 390 meter tall, 61-storey office tower due for completion in 2027. Located across the street from the Mitsukoshi Nihonbashi Department Store. The project includes a 180 meter tall, 36-storey mixed-use building with retail on the lower floors, office on the mid floors and residential on the upper floors. Demolition of the existing buildings is scheduled to start in 2021 with completion of the new building by 2026. 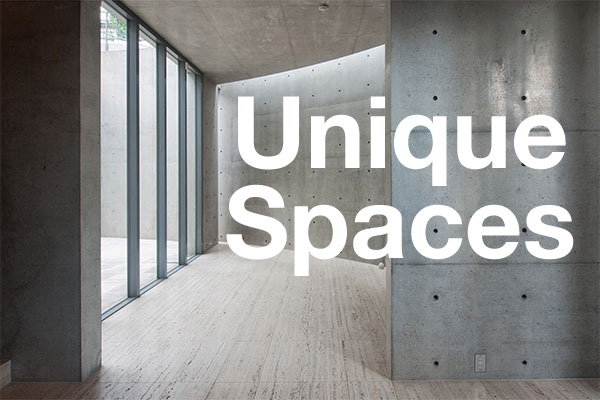 The project extends to a section alongside Nihonbashi River which will include three 3-storey retail buildings with a total floor area of 2,300 sqm with completion in 2032. Still in the very early days of redevelopment discussions. 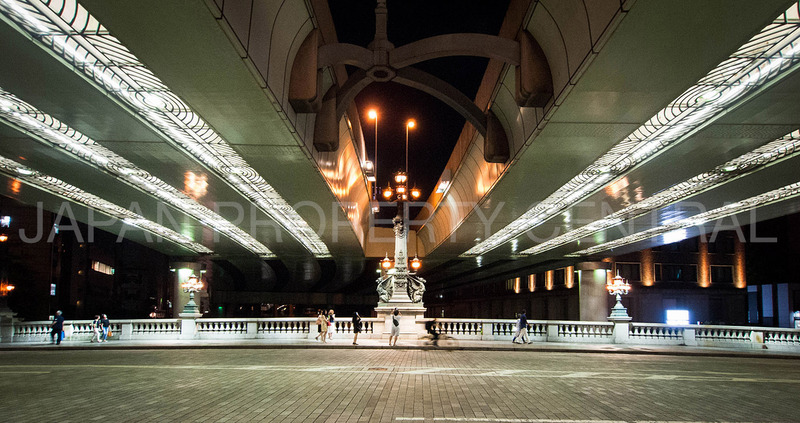 This covers a potential development site of around 7,000 sqm on the south-west side of Nihonbashi Bridge. Also in the early days of redevelopment discussions. Located across the street from the Nihonbashi 1-Chome Central District Redevelopment. This covers a 9,000 sqm site. 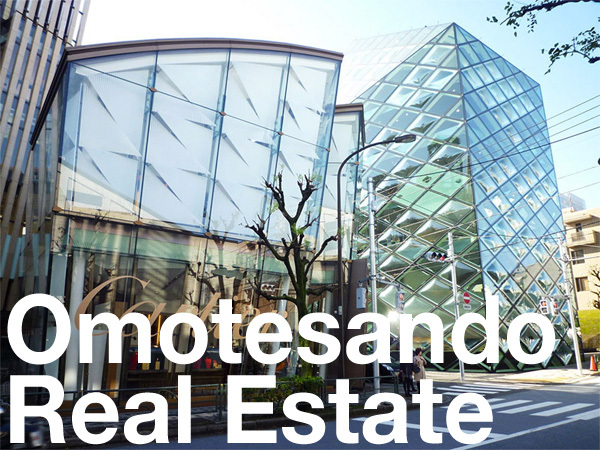 Developers include Tokyu Land, Mitsui Fudosan and Shimizu Corporation. The Tokyo Metropolitan Government News Release, December 13, 2018. The Kensetsu Tsushin Shimbun, December 14, 2018.